This is a guest post from one of our fans, James Ingram. He makes a very interesting comparison of the current WVU men’s basketball team to the 2009-2010 team. Editor’s note: This article was submitted before the signing of JUCO sharpshooter Sean McNeil. It has been 10 years since WVU’s last Final Four run and 60 years since the 1959 run. I was watching the 2010 WVU/UK game recently and realized how similar the talent levels seemed to be to the upcoming team for this season. I decided to look up a few details about the two teams and am willing to predict a minimum of a Sweet 16 run for this upcoming season. Here’s why; the 2009-2010 team had 2 NBA Draft Picks in Devin Ebanks and the legendary Da’Sean Butler, the current team seems to have 2/3 in Culver, McCabe, and Haley. Next I noticed their size was very similar and after calculating starting lineup sizes they both are a total of 393 inches or 6’5” with or without Konate. The 2010 team definitely had better perimeter shooting but the 2020 team seems to be more physical allowing for a different offensive style playing inside out, pounding the paint, and continuing to dominate the offensive glass leaving Matthews and McCabe for open 3pt shots. Even their age is nearly identical in the 2010 team had 3 Seniors and 2 Sophomores, the 2020 team will have 2 Seniors with Konate and 3 Sophomores, while without Konate it’ll be 1 Senior, 3 Sophomores, and 1 Freshman. I also look back and firmly believe that everyone’s favorite player from the 2010 Final Four team was Da’Sean Butler and for the upcoming season should be Emmitt Matthews Jr. I absolutely love the work ethic and potential this young man possesses. The next easiest comparison to make between the two teams was Logan Routt to Cam Thoroughman, while the stat sheet may not be lit up night after night any added points is a bonus and they give their all for the Blue and Gold. Derek Culver fits nicely to a Kevin Jones style of play with plenty of rebounds and plenty of points in his first full season after leading the Big XII in free throw attempts in only half a season. The incoming sensation Oscar Tshiebwe has all the defensive hype and board prowess to be a hybrid of Wellington Smith and the “Istanbull” Deniz Kilici. Jermaine Haley and his cut and drive ability reminds me of the littlest man from the 2010 team in the overcomer and ever determined current Fairmont St Coach Joe Mazzulla. The only player left to really compare and focus on is the dedicated and vocal Jordan McCabe to be left as Devin Ebanks but this young man does not seem to have the ego that Ebanks carried with him. The safest bet to compare McCabe is to Jonnie West with his dribbling, free throws, and perimeter shooting. This collective comparison between the two teams in athleticism and overall talent seems to be near identical if not better for the upcoming season depending on how the JuCo visits go this weekend. So Mountaineer Sports Nation get those couches ready! 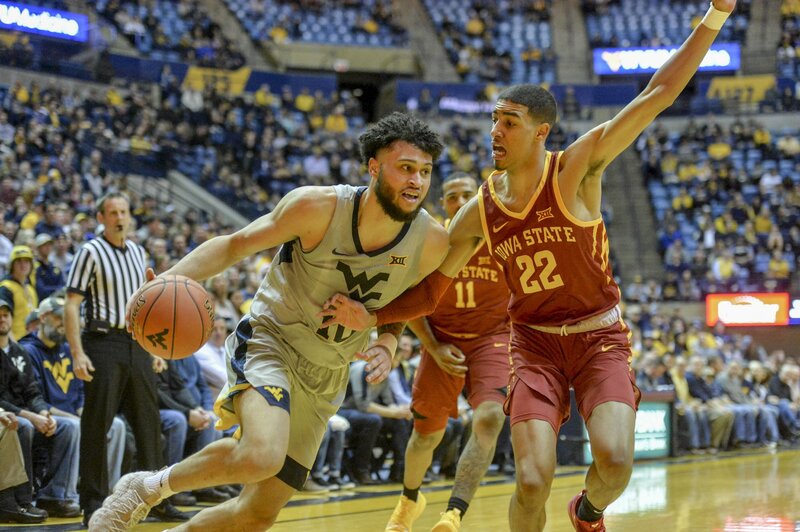 This team has the right size, chemistry is growing rapidly, and Huggins has an unprecedented level of talent currently at WVU. Thanks for your guest post, James! If anyone is interested in submitting a guest post, email me.